Listing your home is an important decision and should be taken seriously. Chagrin Valley homes, condos and developments have a special buyer populous and needs different marketing solutions to get your buyer. Buyers need to understand how great the Avon Schools, parks, location and amenities are. We are the right team to educate them! 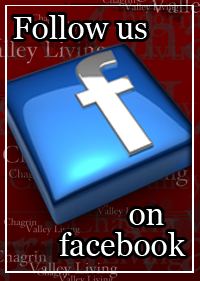 Why should you list your home with The Chagrin Valley Living Team? The Chagrin Valley Living Team has helped more home buyers purchase homes then any other Realtor or Team of Realtors on the West side of Cleveland! 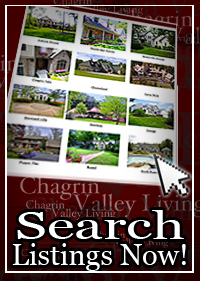 Feature your home, townhome, condo on Chagrin Valley Ohio's #1 website with thousands of home buyer visitors each month. The Chagrin Valley Living Team has sold homes, townhomes and condos across Greater Cleveland in almost every city and neighborhood. We are a ton of fun! Many Chagrin Valley buyers are moving from out of state to work at The Cleveland Clinic, Metro Hospital, DFAS, City, National City / PNC, Key Bank, Tower City, Jones Day, Sherwin Williams, Horseshoe Casino, Quicken Loans, Jacobs Field, Case Western Reserve University and other great Cleveland companies/institutions. You need a Realtor Team that can network and connect you to them before your competition does. Selling your home or condo involves much more than just placing a "For Sale" sign in your yard or window and going to the closing. As a top REALTOR® team, The Chagrin Valley Living Sales Team is here to help you prepare your condo for sale, market your condo, and guide you through the sale process to ensure you sell your home within your time frame and get the best price possible. There are three main factors that determine how marketable your home; price, financing, and time. Price - If your home is priced too high, you must be willing to wait much longer for your home to sell. Either it will take that much longer to find someone to pay more than the home or condo is worth, or the market will eventually catch up to the asking price of the home through inflation. Financing - You may not realize it, but the financing of your buyer can have a tremendous impact on the success of selling your home. Try to offer very attractive financing options. Consider carrying the financing yourself at a below-market interest rate or preparing your home for government financing. This could open the door for many buyers that otherwise wouldn't even consider your home or condo. Your home's value may depend on recent selling prices of comparable homes in your area. 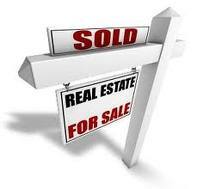 After reviewing the selling prices for such homes the price is adjusted according to current market trends.